Ede & Ravenscroft was established in the same year that William and Mary were invited to take the British throne from James II. 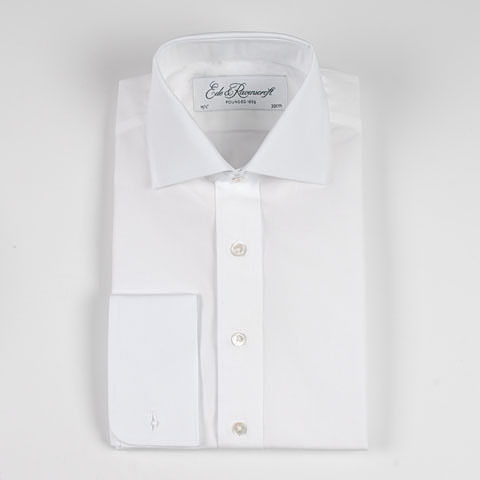 That means they have over three hundred years of experience, which is present in every stitch, seam and thread of this white poplin shirt with cutaway collar. Made of top quality two fold cotton poplin and featuring pearl buttons and French cuffs, it’s available online now, and a fine, timeless choice. This entry was posted in Dress Shirts and tagged Ede Ravenscroft. Bookmark the permalink.